These meatballs are so delicious cooked on the grill! 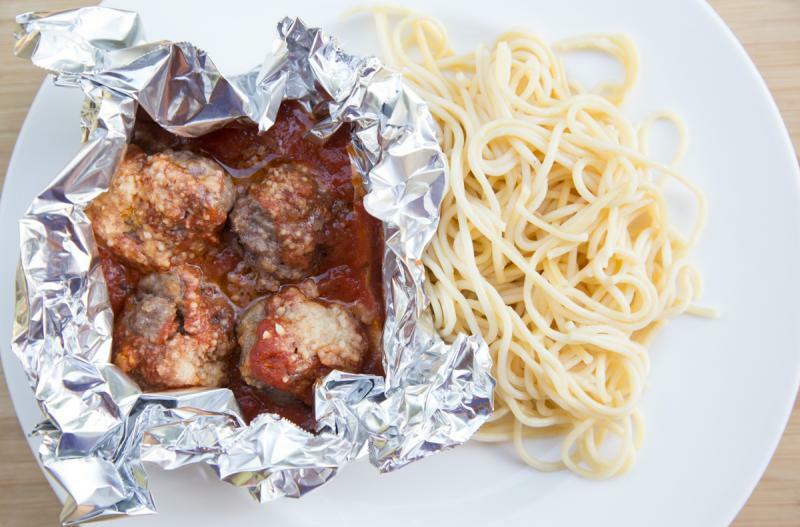 Tear 4 large pieces of foil that can wrap around 3 meatballs. 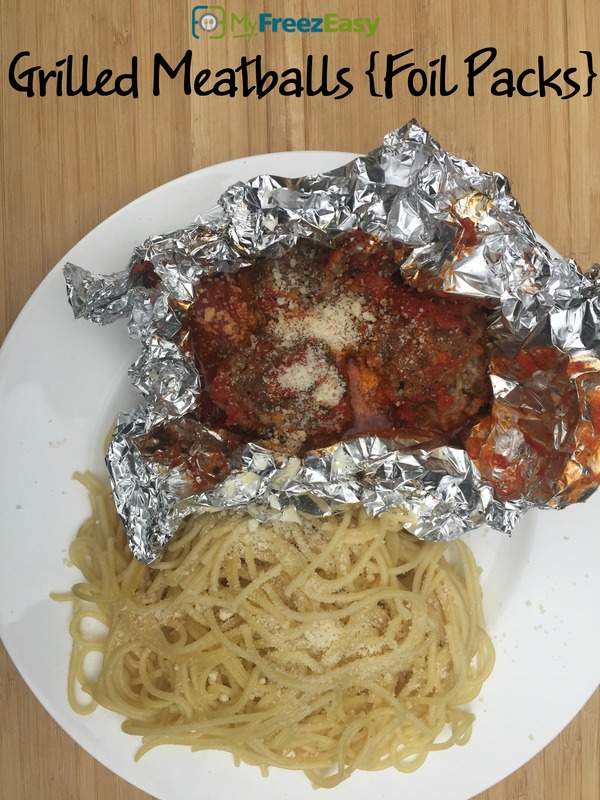 Place 3 meatballs onto each piece of foil. Start to create the packet, but don’t close it off. Pour about 3/4 cup spaghetti sauce over the meatballs. Season with salt and pepper. Wrap up the foil packs and place on the grill. Grill for 15 to 20 minutes, or until meatballs are cooked through. Serve Grilled Meatballs over pasta with Parmesan cheese garnish and veggies. Tear 8 large pieces of foil that can wrap around 3 meatballs. Put baggie in the freezer and freeze up to 6 months in fridge freezer or 12 months in a deep freezer. Thaw completely in the fridge overnight, before transferring to the grill and grilling as directed. Use gluten-free meatballs and gluten-free pasta. Thaw and grill the packs for 20 minutes, or until meatballs are cooked through. Serve over pasta noodles with Parmesan cheese and veggies.